I really wanted to create something irresistibly indulgent for my return. I had a few ideas floating around. I browsed Pinterest and my usual favourites for yet more inspiration and to develop the ideas. "Chocolate! Yes, it had to be chocolate, mmm. Something luscious, soft and seductive. Almost gooey, but not too messy. Still elegant and sophisticated, but not something to slave for hours recreating." I'd think "Whatever! Maybe no one will read the post anyway. I've left my blog defunct yet again for months. There's no point returning. I'm an on again, off again blogger which doesn't make for a good lasting relationship with readers. It's the same old story, how boring." As I continued to beat myself up, contemplate whether returning was at all feasible after having basically been a complete failure at blogging regularly, again and again - we ran out of peanut butter cookies. I posted a picture of the following batch on Instagram (where I hide out most online these days, if you are interested) and to my surprise, I received a couple of requests for the recipe. Surprised? Yes, I was. 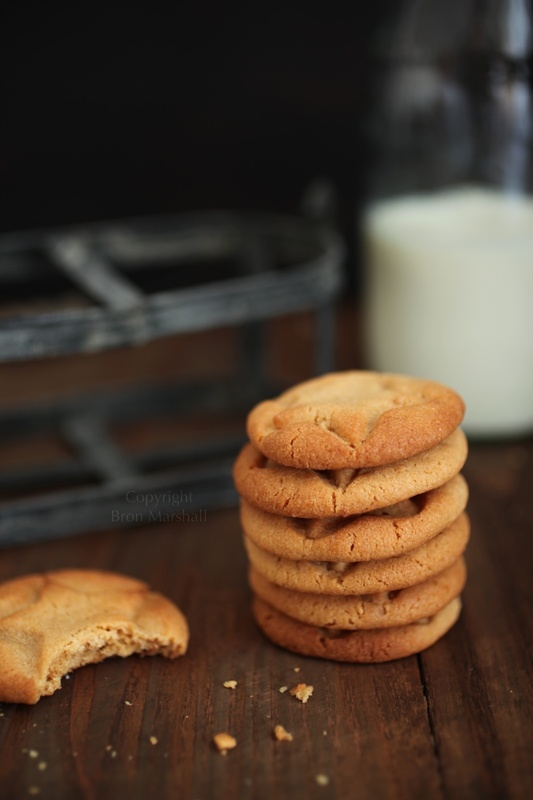 I assumed most people who follow me would have inherited or found their favourite peanut butter cookie recipe by now. Perhaps that's one (of many) fundamental mistakes I make, ruling out foods and recipes, deeming them as unacceptable to blog and share. Simple, common ideas are still great fodder, that's why many of them are incredibly popular, after all. 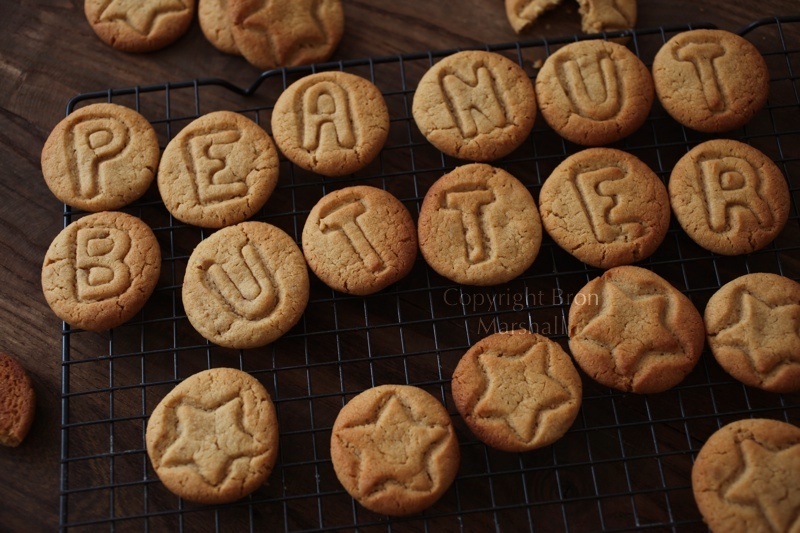 So without further ado and self defeating ramblings re to blog or not to blog... here is our favourite All Star Peanut Butter Cookies Recipe. Well actually there is only one rule and that is you must use the BEST peanut butter you can get your hands on - makes sense really. Here in New Zealand I recommend "Pic's - Really Good Peanut Butter". The bigger name brands that crowd the supermarket shelves are utter shite! So don't even go there. Know what I mean? Better still if you can grind your own, which I believe you can still at some Binn Inn stores, although sadly the machines seem to be disappearing increasingly (probably due to the "No Nut Nazis" plaguing the schools and community). Also you may like to choose an organic brand. As long as you choose a crunchy variety, recently roasted and ground and most importantly one that is only containing two ingredients, i.e peanuts and salt, you're good to go. In a large bowl or your stand mixer beat together the two sugars, crunchy peanut butter and butter with a wooden spoon or the paddle attachment, until it is well combined and there are no lumps of butter remaining. Add the egg and beat well to combine, scrapping down the sides of the bowl to fully incorporate. On a low speed stir through the sifted flour and baking powder. Roll heaped teaspoonfuls of the mixture and place onto a lined baking tray. With a lightly floured fork (or your fingers) press the cookies slightly flat and add your preferred design imprints from cookie cutters etc. Bake for 10 to 12 minutes, (rotating the tray at half time) until lightly golden and cool on the hot tray. Makes 36 ish - naturally depending on how much of the cookie dough you eat when you roll them! As for the seductively indulgent chocolatey ideas? I haven't forgotten them. I'm still mulling them over for another time, perhaps.